The “cruel and calculated” murderer who robbed then killed a 67-year-old Aberdeenshire pensioner will spend life behind bars. Steven Sidebottom violently bludgeoned mechanic Brian McKandie to death in his own home in Badenscoth, Rothienorman, in March 2016. The 25-year-old was sentenced to a minimum of 21 years in prison yesterday, following his conviction at the High Court in Aberdeen last month. Imposing his punishment for the crime, Lord Uist said Sidebottom had conducted a “very brutal” murder. He revealed that Mr McKandie had been hit over the head with a blunt object at least 15 times – firstly outside his home, before he was dragged inside and attacked further. This left the “inoffensive and popular” pensioner with a broken skull, brain damage and bruising all over his face, shoulders and arms. Lord Uist said the murder was part of a planned robbery and that Sidebottom was “in possession of a large amount of cash” afterwards. He also criticised the murderer for failing to show any signs of regret at what he did. “You have continued to deny your guilt since your conviction and shown no remorse”, Lord Uist said. He then sentenced Sidebottom to 21 years in prison – reduced from 22 because he had already spent a year in custody. And he said: “You should not assume that you will automatically be released at the end of that period. Detective Superintendent Iain Smith said: “Sidebottom is a cruel and calculated murderer who has yet to show any remorse for his actions. “He killed Brian within the pensioner’s own home in the most brutal of ways and a painstaking and thorough investigation was launched by Police Scotland’s major investigation team to bring this complex circumstantial case to court. It is understood that Sidebottom is considering appealing both the conviction and the sentence. 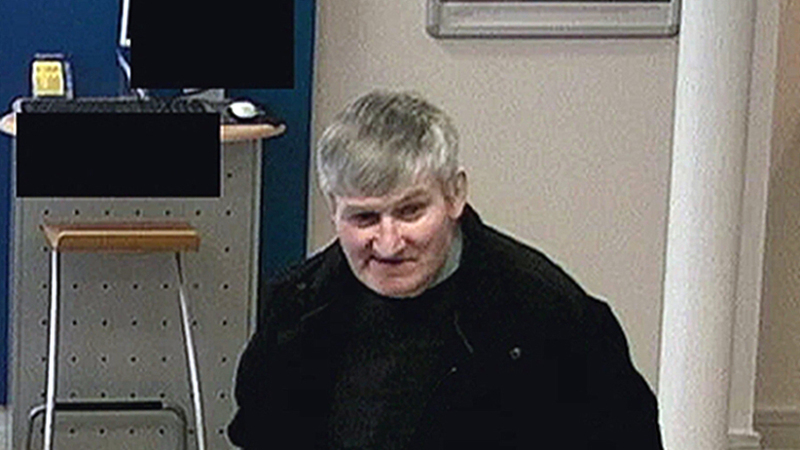 “You were convicted by the jury at Aberdeen High Court of the murder of Brian McKandie, an inoffensive and popular 67-year-old man, at his home in Badenscoth on 11 March 2016 and robbing him of a sum of money. “You are now almost 26 years old. You have one previous conviction for dangerous driving which I shall ignore for present purposes. You come from a good background and have always been in training or work. “There are four aggravating features of the crime of murder of which you were convicted. “First, the degree of violence used was severe and extreme. The evidence indicated that Mr McKandie was first attacked outside his house and then dragged into it, where he was further attacked. He sustained at least 15 separate blows to the head with a blunt object. “He suffered a depressed, comminuted fracture of the right side of the skull with a large, ragged laceration of the overlying scalp. He had further scalp lacerations on the back of the head behind the large irregular injury and also towards the back of the left side of the head, beneath some of which there was depressed fracturing of the skull. There was another fracture at the front of the skull. “He also had bruising to the face, shoulders and arms, consistent with blows from a weapon. In association with these injuries he suffered serious damage to his brain. This was on any view a very brutal murder. “Secondly, this murder was committed in the course of a planned robbery which you carried out in order to obtain money. “This was clear from text messages which you sent to a friend of yours in which you told him you needed ‘two grand cash’ and offered him £500 to do the driving for you in carrying out ‘a job’, as well as a face-to-face conversation with him in which you told him that someone in the Rothienorman area was due you money and you were going to do this person in to get your money back. After the incident you were in possession of a large amount of cash. “Thirdly, this murder was an attack on a man at his own home, where he was entitled to feel safe. The law has always regarded it as a serious aggravation of any form of assault that it was carried out at the home of the victim. “Fourthly, you have continued to deny your guilt since your conviction and shown no remorse. “As you have already been told, the sentence for murder is fixed by law. I must now impose that sentence upon you. I sentence you to imprisonment for life. “I must also fix the punishment part of you sentence, being the period which you must spend in prison in full before you can apply to the Parole Board for Scotland for release on licence. “Having regard to the aggravating features which I have mentioned, I consider that the appropriate punishment part in your case should be 22 years. I shall take into account the period of one year which you have already spent in custody on remand by reducing that period to 21 years. “You should not assume that you will automatically be released at the end of that period. You will be released only when it is considered that it is no longer necessary for the protection of the public that you continue to be confined in prison. March 10, 2016: Steven Sidebottom is spotted outside Brian McKandie’s cottage in Badenscoth during the evening. The witness, who was picking her car up from the handyman, noted the killer loitering outside the property when she left and recalled Sidebottom’s behaviour as “strange”. March 12, 2016: The pensioner is found dead at his home. Police were called, but initially concluded that the death was the result of an accident. March 15, 2016: An initial post-mortem examination forces police to reconsider the death, after severe wounds were discovered on Mr McKandie’s head. March 17, 2016: A full post-mortem takes place, and up to 15 injuries are found to have been inflicted on Mr McKandie’s head, confirming he had been bludgeoned to death. A murder investigation is launched. March 18, 2016: Within hours of police announcing the murder hunt, Sidebottom sends worried messages to friends, raising fears he would be a suspect. March 19/20, 2016: A witness comes forward saying they spotted a maroon car in the driveway of the cottage, but after six months of investigations, police said the witness statement was flawed. June 2016: Officers spoke to Sidebottom as part of routine inquiries. The murderer said he was last at Mr McKandie’s home on the Wednesday before the death – March 9, 2016. September 2016: The death was featured on BBC’s Crimewatch television programme. October 2016: Sidebottom’s earlier inconsistencies results in another interview by detectives hunting for the killer. Over the following three months, officers pinned him as a key suspect and investigated his links to Mr McKandie, including phone records and other leads. February 2017: Sidebottom is arrested and charged with murder. January 2019: The 25-year-old stands trial at the High Court in Aberdeen accused of murdering the 67-year-old Mr McKandie. February 1, 2019: After 18 days, and three days of jury deliberations, Sidebottom is found guilty. March 6, 2019: Sidebottom is sentenced at the High Court in Edinburgh to a minimum of 21 years in jail.